Below you fill find all funeral homes and cemeteries in or near La Mesa. 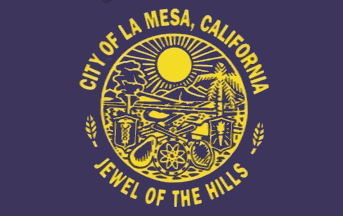 La Mesa is also known as: San Diego County / La Mesa city. Their current mayor is Mayor Guy McWhirter. Zip codes in the city: 91941, 91942, 91943, 91944. Located on University Avenue between 70th and Massachusetts Avenues in La Mesa CA, Legacy Funeral & Cremation Care is easily accessed by either Hwy. 94 or Interstate 8. Some of the notable people born here have been: Frederick W. Sturckow (astronaut), Dylan McLaughlin (actor), Joe Kennedy (baseball player), Bill Walton (basketball player and athlete), Dave Mustaine (singer and musician), Kevin McCadam (american football player), and Steve Roach (didgeridooist and synthesist). La Mesa is a city in Southern California, located 9 miles (14 km) east of Downtown San Diego in San Diego County. The population was 57,065 at the 2010 census, up from 54,749 at the 2000 census. Its civic motto is "the Jewel of the Hills." It was noted by San Diego Union-Tribune on March 30th, 2019 that Rose Lee Kvaas (Cory) perished in La Mesa, California. Ms. Kvaas was 88 years old and was born in New Orleans, LA. Send flowers to share your condolences and honor Rose Lee's life. It was disclosed by San Diego Union-Tribune on March 28th, 2019 that Leo Asaro perished in La Mesa, California. Asaro was 95 years old. Send flowers to share your condolences and honor Leo's life. It was written by San Diego Union-Tribune on March 21st, 2019 that Ramona Rose Sloan passed away in La Mesa, California. Sloan was 88 years old. Send flowers to express your sorrow and honor Ramona Rose's life. It was revealed by San Diego Union-Tribune on March 17th, 2019 that Bruce Hermsmeier passed on in La Mesa, California. Hermsmeier was 68 years old. Send flowers to express your sorrow and honor Bruce's life. It was revealed by San Diego Union-Tribune on March 10th, 2019 that Margaret Turney Hutler (Vodra) died in La Mesa, California. Ms. Hutler was 89 years old. Send flowers to express your sorrow and honor Margaret Turney's life. It was revealed by San Diego Union-Tribune on March 10th, 2019 that David Theodore Nesvig perished in La Mesa, California. Nesvig was 86 years old and was born in Seattle, WA. Send flowers to express your sorrow and honor David Theodore's life. It was disclosed by San Diego Union-Tribune on March 3rd, 2019 that Cesar Augusto Gonzalez passed on in La Mesa, California. Gonzalez was 88 years old. Send flowers to express your sympathy and honor Cesar Augusto's life. It was disclosed by San Diego Union-Tribune on February 21st, 2019 that Vera Dolan (Reyenga) passed on in La Mesa, California. Ms. Dolan was 86 years old. Send flowers to share your condolences and honor Vera's life. It was noted by San Diego Union-Tribune on February 21st, 2019 that William Edwin "Bill" Howell perished in La Mesa, California. Howell was 69 years old. Send flowers to express your sympathy and honor William Edwin "Bill"'s life. It was reported by San Diego Union-Tribune on February 17th, 2019 that Petra Olea McGeary perished in La Mesa, California. McGeary was 96 years old. Send flowers to express your sympathy and honor Petra Olea's life. The population was 54,749 at the 2000 census. La Mesa is a city in San Diego County, California Diego County, California, United States. It is the hometown of NBA player Bill Walton, football stars Reggie Bush, and Alex Smith, famous actor Dennis Hopper, singer of rock band Pearl Jam Eddie Vedder, and the birthplace of thrash metal metal musician Dave Mustaine. At the beginning of each October, La Mesa holds their biggest event of the year, Oktoberfest. Its official flower is the bougainvillea. The official website for the city of La Mesa is http://www.cityoflamesa.us/. funeral homes for La Mesa, CA. Find phone numbers, addresses, maps, driving directions and reviews for funeral homes in La Mesa, CA. Listing all funeral homes in La Mesa, California so you can easily send flowers to any location (same day delivery) or find any funeral service. Funerals in La Mesa, CA on Yahoo! Local Get Ratings & Reviews on Funerals with Photos, Maps, Driving Directions and more. Find a Funeral Home inLa Mesa, California CA to provide the caring burial and ceremonial services your family deserves. Legacy Funeral & Cremation Care, serving the communities of greater San Diego. Experience you can afford. Excellence you can count on. Support when you need it most. We work with local florists and flower shops to offer same day delivery. You will find budget sympathy flowers in La Mesa here. Our funeral flowers are cheap in price but not in value.